Tvi Express Exposed: South Africa, Other Countries Declared Tviexpress a Pyramid Scheme, Complaints,who Is Tarun Trikha? If you are looking for complaints about an outfit called "TVI Express", also known as "Travel Ventures International", that claim to be headquartered in London, UK, you are at the right place. This article categorizes all the various complaints about TVI Express. They may also be known by their local distributors, such as "TVI Express India", "TVI Express Indonesia", "TVI Express Vietnam", and so on. However, keep in mind that they claim to be legally incorporated in India and Cyprus, but is headquartered in London, UK, according to their own website. Only the complaints are documented, and official responses, if any, are included. It is up to you to decide whether the responses are valid for you or not. UPDATED 07-APR-2013 Reliable but unconfirmed report indicated that Tarun Trikha, leader of TVI Express scam, has been arrested by India Police at train station, apparently after being trailed by his victims. See comments at the very end. TVI Express has a lot of problems with corporate identity, because they have moved so many times, and they seem to do business under several different names. This has raised many questions about the legitimacy of their business. * Were they really at Marble Arch Tower, London, UK? For several months after their initial launch in 2009, TVI Express did list an address at Marble Arch Tower, 55 Bryanston St., London, UK, and it is an actual building. TVI Express is currently not at the building.Their current legal corporate address is in Cyprus, and their listed UK address is in Heathrow or Uxbridge, depending on which source you check. According to TVI Express announcement, they moved out in September 2009. Because the Marble Arch Tower address just points to the front door, and not to a specific section of the building (room? floor? ), this had lead to speculation the location is merely a virtual office, with the real office being elsewhere. Many claimed to have called the building office to inquire about TVI Express, and was told there was no tenant by that name there. The building directory (accessible online) also did not show such a tenant. A blog entry by a British Chinese newspaper stated that they have investigated TVI Express, and have written to the landlord, who had stated they will take appropriate actions if the tenant is a pyramid scheme. This was in August 2009. In September 2009, TVI Express disappeared from the 55 Bryanston st. address in London. Is there a link? Maybe, but there's no way to know for sure. TVI Express have NEVER addressed this complaint. Some TVI Express distributors are said to have made excuses such as "they are moving due to rapid expansion", but those are unsupported speculations. It is also worth noting that search through British corporate records shows no company called TVI Express or Travel Ventures International or any sort of name close to it. There is a company called "TVI Services", based in Surrey, UK. However, TVI Express never claimed to be related to that company. (see later section) Also, that company was dissolved in 08-MAR-2011. Tviexpress.com domain records show that their main address is in Bangalore India, and the contact is Tarun Trikha. Some time in 2011 (probably May 2011) TVI Express removed verbiage that they are headquartered in the UK. It now only refers to itself as an "international conglomerate". * Are they in London or not? As explained above, the 55 Bryanston St. address, while located in London, is suspected of being a virtual office or rent-a-office. TVI Express, until May 2011, claims to be headquartered in London, UK. (the "headquartered in London UK" was quietly removed one day) Even today, it continues to use a London phone number as its "international contact" and continues to list an UK office. TVI Express had recently listed a new office in UK, which they claim is in Heathrow. However, Google Maps show it to be in Uxbridge, 15 miles out of London, clearly NOT within city limits of London. TVI Express has no explanation why they still claim to be "headquartered in London". It is also pointed out that Heathrow is in a separate postal code. One Hubpages commenter claimed to have visited the new "Heathrow" address, but cannot locate TVI Express. The receptionist claims no knowledge of the company. This cannot be independently verified. However, a recent (May 2010) listing by Regus shows that only virtual offices were available for rent at the Uxbridge location. A search through Google shows no less than 15 businesses with exact same address as TVI Express's "Heathrow" location. Furthermore, in TVI Express announcement (December 2009) it was stated that face-to-face meetings at the "Heathrow" location is "by appointment only". A search through Regus (office rental) offers at that location shows that meeting rooms can indeed be rented by the hour. In their own disclaimer, TVI Express claims to be only subject to Cyprus and Indian laws. * Is TVI Express actually in UK, if not in London? The new UK address listed, which claims to be in Heathrow, but Google Maps claim to be Uxbridge, has no less than 15 (or more!) businesses listed at the exact same location, same pattern as the Marble Arch Tower address, no room number, no floor number. This lead to charges that it is also a virtual office as well. One Hubpages comment claimed to have visited the new "Heathrow" address, but cannot locate TVI Express. The receptionist claims no knowledge of the company. This cannot be independently verified. Furthermore, a check of Regus listings of the Uxbridge building shows only virtual offices for rent, no real office available, in May 2010. In newspaper Mallorca Zeitung of Spain, there is a report that when Lufthansa had repeatedly sent TVI Express letters to request them stop using Lufthansa's logo in TVI Express promotional material without permission. All letters were returned as "undeliverable". This would suggest that the address given were not real offices. However, without knowing what address Lufthansa used, it is not possible to know which address were not valid. TVI Express never explained under what corporate name are they operating in the UK. Now that "TVI Services" has been dissolved (as of 08-MAR-2011) they should have NO legal presence in the UK at all. So where are the phone calls going to, as the phone number is London UK prefix? TVI Express thus far have no answer this this inquiry. * Why did TVI Express move to Cyprus? TVI Express website claims that Cyprus has a simple tax structure and is a credible place. Further research shows that Cyprus has a 10% universal business tax rate, plus 2% tax on wages. However, TVI Express neglect to mention a lot of things about Cyprus. Cyprus is actually like the Korean peninsula: in two halves, one Turkish, the other Greek. It is the Greek portion that joined the European Union. Cyprus is reputed to have had some of the laxest business laws in Europe, and only recent passage of some EU "common" laws have corrected the situation somewhat. Furthermore, southern Cyprus is mostly Greek, and recent Greek economic troubles have rocked the island as well. Cyprus is a known haven for illegal money laundering operations. Search of newspaper archive shows that Cyprus was used by no less than Al Qaeda and Russian Mafia for money laundering and false front companies. Several ships of the "Al Qaeda Navy" were registered through front companies in Cyprus. A check through Cypriot business records shows two entries: TVI EXPRESS, and TVI SERVICES. Both are current, though TVI SERVICES has been incorporated in 1999, so it is unlikely to be related to TVI EXPRESS which launched in 2009. A consumer protection expert's website claimed that TVI Express only moved to Cyprus to dodge British taxes and legal attention, that "Office of Fair Trading" of UK was looking into TVI Express. This cannot be independently confirmed. * Is the Cyprus address a real location? A Google search showed that at least three businesses share the exact same address with TVI Express in Cyprus. It shows the same pattern as their former London address and their current Uxbridge address: just lists the building, but not a room inside. Thus, it is also suspected of being a virtual office. There is a third-hand report that a group of American TVI Express distributors paid a visit to Cyprus location, and found nothing at the location related to TVI Express. However, this cannot be confirmed. TVI Express thus far have no comment on this matter. In newspaper Mallorca Zeitung of Spain, there is a report that when Lufthansa had repeatedly sent TVI Express letters to request them stop using Lufthansa's logo in TVI Express promotional material without permission. All letters were returned as "undeliverable". This would suggest that the address given were not real offices. However, as Lufthansa did not mention which office the letters were sent to, there is no way to know which office is not real. * Is TVI Express in India? TVI Express website lists itself as having an Indian Branch called TVI Express Holidays Private Limited. It is a registered Indian company, verified by Indian corporate records. A Thai website showed a photo of company sign that says TVI Express Holidays Limited, which is the company name used in India. However, the authenticity of the picture cannot be confirmed. Furthermore, the website showed at least two other Photoshop (tm) manipulated pictures, leading one to suspect the authenticity. * What is "TVI Services"? For most of 2009, TVI Express accepted wire transfers. However, wire transfers go to a bank in Cyprus into account of "TVI Services", not TVI Express or Travel Ventures International. A search of company records in India, UK, and Cyprus all turned up TVI Services. Their exact relation to TVI Express is unknown. However, payments paid to TVI Services in Cyprus were counted as membership fee to TVI Express, so presumably they have a close business relationship. A Thai TVI Express website showed a certificate that is allegedly the UK company registration certificate for TVI SERVICES. However, the certificate JPEG EXIF header shows that it had been manipulated with Photoshop, thus the authenticity of the certificate is in question. Certificate samples are easily found on the Internet, and with publicly available information, it would not be hard to "manufacture" such a certificate. After TVI Express moved to Cyprus, all mention of "TVI Services" disappeared from TVIExpress.com website, but remained on several clone website (see later). TVI Express has thus far no comment about TVI Services, or its relation with TVI Express. A search through India company records shows a "TVI Express Holidays Private Limited" and a "TVI Travel Services Private Limited", both registered in the same city. There is no information to indicate any relation between the two except their similar names. It is also unknown which one would you be dealing with if you join TVI Express. TVI Express has never explained its relation to TVI Services. * Who owns/runs TVI Express? TVI Express does NOT list any member of its management team, nor any background. We do not even know how many are in the management team at all. There is an "advisory board", but TVI Express claims those are selected from the most senior distributors. The advisory board has some "office bearer members", but their position within the company is never explained, and other than some names there is no information given. There have been false information spread by TVI Express members claiming these "office bearers" like "Bill Hemmings" and "Dan Cooper" are the company founders and president / vice president. 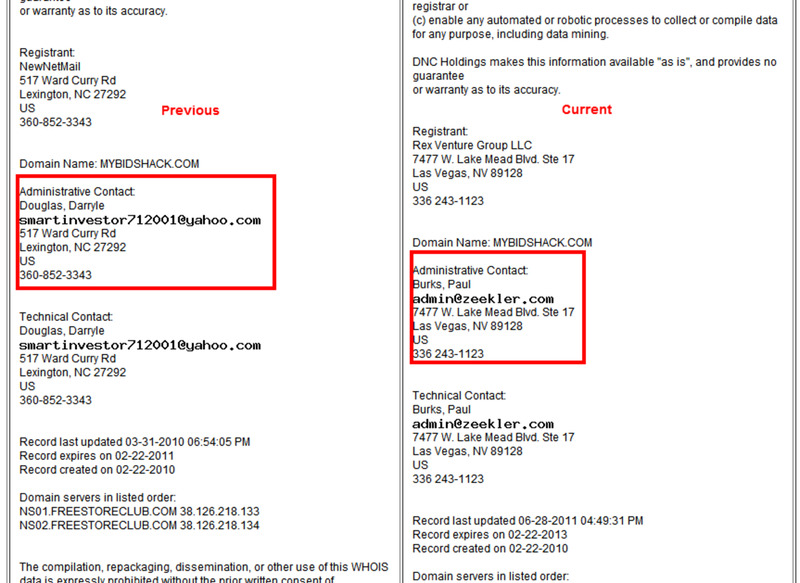 Indeed, these names have been excised from the website in May 2011. TVI Express's website domain name had domain privacy turned on, so the real physical address contact is not shown until 2011. One TVI Express member website claims that Rahul Khurana owns TVI Services in India, and Anita Khurana is shareholder. Several members in India claim that the person actually running the show is Tarun Trikha. This cannot be independently confirmed, as corporate records online in UK, Cyprus, or India do not show owner or shareholder info. However, both Tarun Trikha and Rahul Khurana were listed as once having served on the TVI Express advisory board. Rahul Khurana left sometime in 2009, and Tarun Trikha left in 2010. Further research turned up a Chinese blog entry by TVI Express member that claimed back in June 2009, after mere months of TVI Express launch, Mr. Tarun Trikha is already a presidential associate of TVI Express, one of only six at that time, with over 36000 downlines. This lead to speculation that Tarun Trikha is "member zero", the first person to join TVI Express. However, this cannot be independently confirmed either. TVI Express does not release member information, or management information. All attempts to solicit comment from TVI Express have been ignored. This had to lead to speculation that none of the so-called "office bearers" listed on TVI Express website actually exists. In 2011, the "office bearers" list have disappeared from the website altogether. UPDATE: in August 2010 and September 2010, several North American TVI Express member websites claimed that Tarun Trikha is "owner and CEO" of TVI Express. However, they offered no proof. Why would they call Tarun Trikha CEO and owner if nobody told them to? UPDATE: In February 2011, Tarun Trikha's name appeared as contact for domain name tviexpress.com, with the India address listed. * Who is Tarun Trikha? Tarun Trikha, who name can also be spelled "Parun Trika" or "Tarun Trika", is an Indian who usually lives in Bangalore India. His own profile claims he is the CEO of "V2 Group", and is referred by many as CEO / President of TVI Express. He is also the listed contact of TVI Express Inc as listed in the tviexpress.com domain registration. Tarun Trikha's profile on MoneyMakerGroup indicated that he was an IT student learning about multi-level marketing opportunities. There is no information on V2 Group. The website, as of June 19th, 2011 goes to a "coming soon" page. 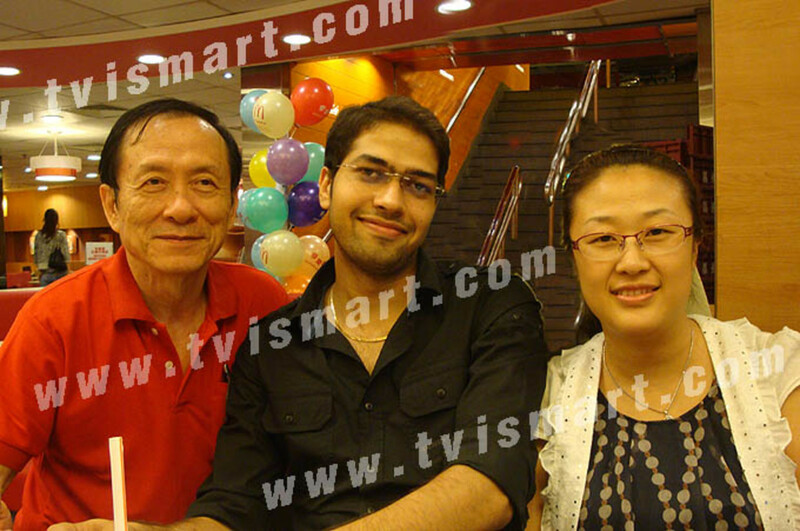 Blog entries by Chinese TVI Express members dated June 2009 indicated that Tarun Trikha appeared at an event at Shenzhen, China as "Indian Leader", one of only six presidential associates at the time, and the only one from India. This lead to speculation that he is "member zero", or the first person to join TVI Express. For over a year, Tarun Trikha's name appeared on "advisory board" list. According to TVI Express website, Advisory board is composed of a special select group of existing distributors, received extra training in motivation and will be sent to various TVI Express events. This would indicate that Tarun Trikha was a distributor, not a corporate member of TVI Express. Tarun Trikha's name was mentioned in South African reports of TVI Express fraud. Apparently when South African members asked Tarun Trikha for clarification on legal status of the company, they were left with no answers, something about "verifying their account". Many have pointed out that if Tarun Trikha is indeed CEO of TVI Express all along, is it considered fraud for him to present himself as merely a distributor (albeit a senior one, i.e. advisory panel member) for years? If he was NOT CEO of TVI Express until 'recently', who was? And how does a mere member get to be CEO? TVI Express and Tarun Trikha thus far have no responded to these questions. Some TVI Express distributors claim they are recruiting for a club. However, this makes no sense. In a normal 'club', a member just pay a fee, and enjoy the privileges of the membership. They are not required to recruit additional members, nor do they get paid for recruiting. TVI Express do both: ask members to recruit at least two people, and pay members money when the "matrix" is filled. Furthermore, there are doubts as to if the so-called benefits that are provided to members are actually worth anything. It is legal for a recruiter to recruit an employee and get paid for it, but it is NOT legal for a recruiter to recruit another to be a recruiter and get paid for it, and that just recruited recruiter is also expected to recruit even MORE recruiters. The former is simple job transaction, and is "pure recruiting". The latter is cycler recruiting, and is a sign of pyramid scheme. TVI Express has organized its compensation package around a pair of 2x3 matrices. However, those have lead to charges that it is actually a pyramid scheme. * What does TVI Express actually sell? According to old TVI Express FAQ, "you don't need to sell any products". However, the FAQ also states that to get paid, you do need to recruit two people, and teach each to recruit two more people. This had lead to charges of TVI Express being a pyramid scheme. TVI Express have no comment on these charges at all, except to excise this passage from their FAQ sometime in May 2011. Its FAQ now claims that you do need to sell products. However, it never explained what those products are. There is also no section on TVI Express website called "products". This has lead to critics speculating that this revision is clearly a smokescreen. TVI Express has already been outlawed in China and its members arrested for operating pyramid schemes. It is also declared a pyramid scheme in Hungary, Czech Republic, Australia, State of Georgia (USA), South Africa, Namibia, and more. Repeated request to TVI Express for comments has not been answered. Furthermore, "do not have to sell any products" is in direct conflict of their claimed goal of being "next giant in the direct selling industry". If there is no selling, there is no direct selling. TVI Express thus far have yet to issue an explanation on why do the two statements conflict. Its answer thus far was to remove the part about not sell any products from its FAQ, but it had yet to explain what are the distributors supposed to be distributing. * Do they sell products or membership? Some TVI Express distributors have claimed that they are actually selling membership in a travel club, despite there is NOTHING on TVI Express website that claims it is any sort of a club. The closest mention of a "club" is a review by CitizenCorps, but that review has since been retracted. Furthermore, in a club, you enjoy real benefits, such as discounts and free trips. The discounts allegedly offered by TVI Express are actually provided by Travelocity, and Travelocity.com, which is free to use, shows the same price as TVI Express "back office". The definition is very clear... Network marketing is a MARKETING strategy to sell things, be it service or product. The idea is sell from company to outside consumers. If TVI Express is a travel club, then it is NOT a network marketing business. Thus, the "travel club" explanation makes no sense. Also TVI Express just announced that they are charging $150 to redeem the 7-day 6-night accommodation certificate you get with your membership. This have lead to charges that the membership fee of $250 is nothing but a buy-in to a pyramid scheme, since it surely does not buy the 7-day 6-night accommodations. TVI Express has no comment on these charges. Pyramid scheme, or its relative, the Ponzi scheme (also known as endless chain), are outlawed almost everywhere, including India, and European Union. TVI Express thus far has refused to acknowledge that their compensation model fits definitions of pyramid scheme as issued by the American Federal Bureau of Investigations, the European Union Consumer Fairness Directive, and most other lawful definitions of pyramid scheme. Any solicitation thus far for comments have been ignored. If you see explanations issued by TVI Express supporters, you should read actual local legal definitions of pyramid scheme instead of recruiting speech. Unless they are lawyers, they are not qualified to give legal advice, and telling you whether something is legal is "legal advice". Finally, TVI Express has been declared a pyramid scheme in China, Australia, US, Hungary, South Africa and several other countries. It is under investigation in even more. NOTE: No advice is given here. You should reach your own conclusions based on all facts given. Consult a lawyer or law enforcement agency if you need advice regarding law. TVI Express for many months only accept bank wire transfers, or payment through payment processor such as Liberty Reserve (and later, Solid Trust pay). As none of these methods allows rescinding payments, this had lead to charges that TVI Express specifically chose those methods to prevent people canceling their memberships. Later, TVI Express did start accepting credit cards, but canceled or suspended it many times. Tarun Trikha, in a conference call, claimed it was due to fraudulent chargebacks that they had to suspend accepting credit cards. However, that cannot be confirmed, and logically does not make sense. Chargebacks costs the company nothing. Fraudulently obtained memberships can be easily canceled and payout from eWallet rescinded. Fraud was so rampant that Solid Trust Pay cancelled their relationship with TVI Express in April 2010 very quietly without any announcement. The fact was never announced by TVI Express as well. In fact, Solid Trust Pay is still listed on TVI Express webpage. TVI Express payment, either for cycling out of the two boards, or for 'residual income', actually goes into an eWallet, which basically is TVI Express member's "account balance". In order to convert that into real money, fees must be paid to 1) convert eWallet into eVoucher for no fee, than sell eVoucher to new recruits 2) request conversion of eWallet amount to a payment processor, such as SolidTrustPay (no longer available) or Liberty Reserve, pay various fees, then transfer the amount after fees to one's own bank account, 3) request wire transfer direct to one's bank account, and accept up to 20% "bank fees". There are many reports from members that everything EXCEPT conversion to eVouchers are held up for days, or even weeks. This is difficult to confirm, but TVI Express have not denied such reports. This has lead to further charges by critics that TVI Express are encouraging conversion of eWallet payout into eVouchers. TVI Express have no comment on this matter. There are even reports that uplines are stealing funds from their downline's eWallets. However, these cannot be confirmed. Also see Voucher system problems below. TVI Express issues eVouchers to its distributors as part of the reward when they "cycle out", and also allows conversion of their eWallet pay into more eVouchers. However, because these eVouchers have no use except as cash equivalents, to be invested in either more memberships in TVI Express (either by the member him- or herself, or sold to new members), this has lead to charges of TVI Express being a Ponzi scheme. In a Ponzi scheme, also known as an endless chain (and a pyramid scheme is a form of Ponzi scheme), the people who join late pay those who joined early, either directly, or through the intermediary (such as the scheme leader). As long as more people join than people leave, those who leave can enjoy a "profit", taking more out than they put in. Critics claim that the eVouchers are TVI Express sanctioned direct money transfer from latecomers to early joiners, which is evidence of a scam. TVI Express has not commented on these charges. For a long time, TVI Express listed $15000 reward for cycling out of the "express matrix" (or express board). However, members complained that they are only paid $10000 into their eWallet. In a conference call in October 2009 (hosted by PlanetTVI) Tarun Trikha, TVI Express advisory board member, explained that the payout to eWallet is only $10000. The other $5000 is a "group travel voucher" for certain "group events" yet to be held. In other words, the $5000 group voucher is worthless unless an event is held near your area. And even then there were no details on how you would redeem it. In 2010, the $5000 disappeared from the TVI Express website altogether. Now the "board payout" only mentioned $10000. According to news reports around the world, police have investigated or arrested TVI Express members in a dozen different countries, including South Africa, China, Hungary, United States of America, Namibia, Swaziland, Tajikstan, Georgia (the country), Czech Republic, Indonesia, South Africa, India, and many other countries, all for "running a pyramid scheme" or similar financial fraud. TVI Express has made many outrageous claims on its website that raised suspicions. * Strategic alliances or mere affiliate? TVI Express claims to have backings from "strategic partners" in the travel industry. Indeed, in their Powerpoint presentation, they used logos from many of the largest airlines, hotels, cruiselines, and more. Hundreds of members have posted on their blogs, articles, and websites claiming that TVI Express have alliances or partnerships with all the biggest names in travel. However, a study of their "backoffice", from which you can order trips, revealed that the reservations were handled by res99.com, which is actually a part of Travelocity. A further search turned up World Choice Travel, which offers private-label booking portals, through Travelocity Partner Program. The buttons shown on WCTravel.com is identical to those on TVI Express's back office. At best, TVI Express has backing of Travelocity, and no one else, and it is merely that of an "affiliate" relationship. TVI Express thus far have not released any names of their strategic alliance partners, despite repeated requests.This had lead to speculation that they do not actually have any. However, this cannot be confirmed. In a conference call hosted by PlanetTVI, Tarun Trikha (TVI Express advisory board member) confirmed that TVI Express used World Choice Travel as its backend. A later message posted at an Indonesia TVI Express website, allegedly from Tarun Trikha, stated they have "corporate tie-up" with Travelocity. Furthermore, newspaper Mallorca Zeitung of Spain reported that Marriott, Lufthansa, and Avis have initiated legal action against TVI Express for falsely representing them as partners. TVI Express thus far have not commented on these observations. Some TVI Express supporters have pointed to them being able to purchase hotel vouchers and enjoy vacations as some sort of proof of TVI Express legitimacy. However, analysis of published "receipts" and such points to TVI Express having booked trips through Gulliver's Travel Agency and/or HotelPros.com. Neither "corporate tie-up" was ever acknowledged or announced by TVI Express. However, the "95000 hotels" factoid from HotelPros was used in many TVI Express literature. HotelPros.com is a travel company headquartered in Turkey with one office in New York. Size of the company is unknown, but it is not likely to match Travelocity. * Celebrity Investment, or intentional misquote? On TVI Express's Expert Watch section, the quote from Warren Buffet was "best investment I've ever made", which at first glance, appear to be for TVI Express. However, further check of the entire page shows that all quotes on the page actually refer to the concept of network marketing in general, NOT TVI Express specifically. Mr. Buffet's quote actually refers to Pampered Chef, which is a MLM owned by Berkshire Hathaway, and was missing several words. The quote had been chopped, perhaps to manipulate the readers. TVI Express also made the mistake of naming Warren Buffet as the richest man in the world. 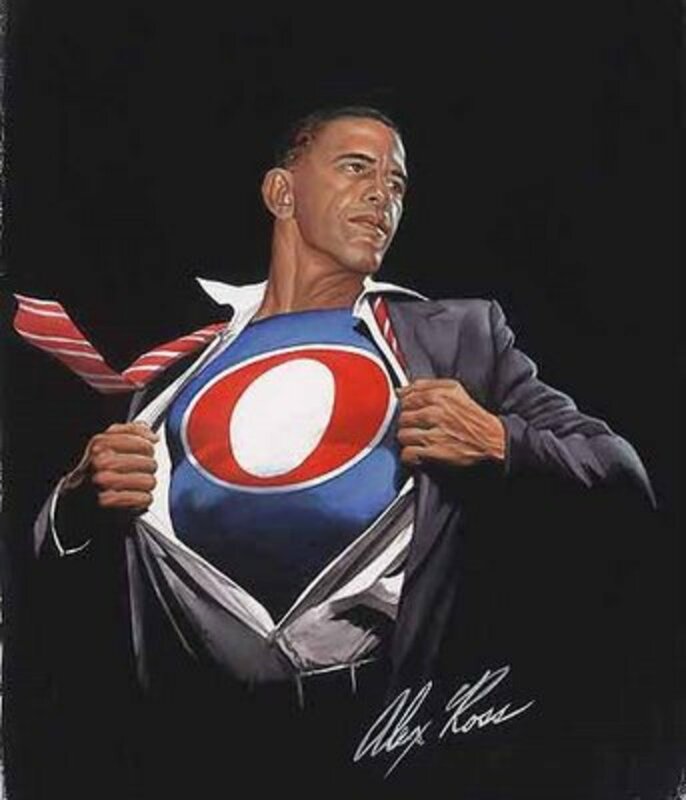 That may have been true in 2008, but it is now 2010. This quote had lead to many TVI Express distributors claiming that Warren Buffet had invested in TVI Express, a rumor that TVI Express has thus far not commented upon, but did not refute either. This had to lead to charges that TVI Express had intentionally mangled to quote to mislead readers. TVI Express has no comment on this subject. Some TVI Express distributors have claimed that TVI Express cannot be held responsible for mistaken impressions of its distributors. However, TVI Express had not issued any statements to correct the mistaken impressions. Further check shows that TVI Express may have deleted a quote from Sir Richard Branson (of Virgin Group) praising power of MLM. This quote had been misinterpreted by many TVI Express members to mean Sir Richard Branson is an investor in TVI Express, a rumor that was neither confirmed nor denied by TVI Express. Furthermore, Google Books search revealed that TVI Express actually stole the quotes from a Book by Randy Gage published in 2006 for most of the content on that Expert Watch page. That explains why the content was severely outdated when it wasprinted. TVI Express had never acknowledge the source of the quote, which has lead to charges of plagiarism. 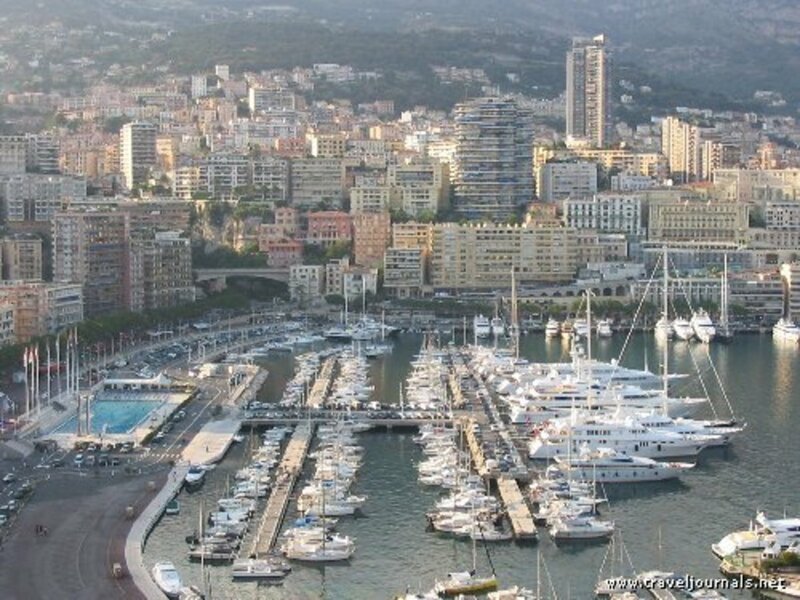 * Giving away luxury cars, yachts, villas, and more? TVI Express claims to give away luxury cars (Benz, Audi, BMW are specifically mentioned, with their logos used), yachts, villas, and more. However, for many months, it was never explained HOW those rewards can be earned, nor any announcement that any one been awarded those special bonus prizes. In a conference call in October 2009, TVI Express advisory board member Tarun Triikha stated that he will request TVI Express executives to clarify the "incentive" system. Some time in April or May 2010, some slides appeared on TVI Express website and some Thai TVI Express sites that explained that to earn those special incentives, you need to cycle through the Express board multiple times, like 10-20 times, depending on the specific incentive. Repeated calls to TVI Express for number of people who had qualified for these incentives has gone unanswered. TVI Express had made no announcement on whether ANYONE had qualified for these incentives. Same picture, with edited portions highlighted. Please also note, the meeting is in a McDonalds. See the logo on the balloons? TVI Express behavior is very strange when compared to other "direct marketing companies". This had lead to charges of impropriety, or at least not condemning inappropriate behavior by its members. TVISmart.com, a Thai TVI Express website, posted a picture of TVI Express advisory board members Tarun Trikha (in black shirt), and Anny Kim, with Callahan Koon, "leaders" of TVI Express. However, a closer look at the picture shows one person was edited out of the picture (and very badly edited too), and the JPEG EXIF header indicated the picture was indeed retouched with Photoshop 7.0. 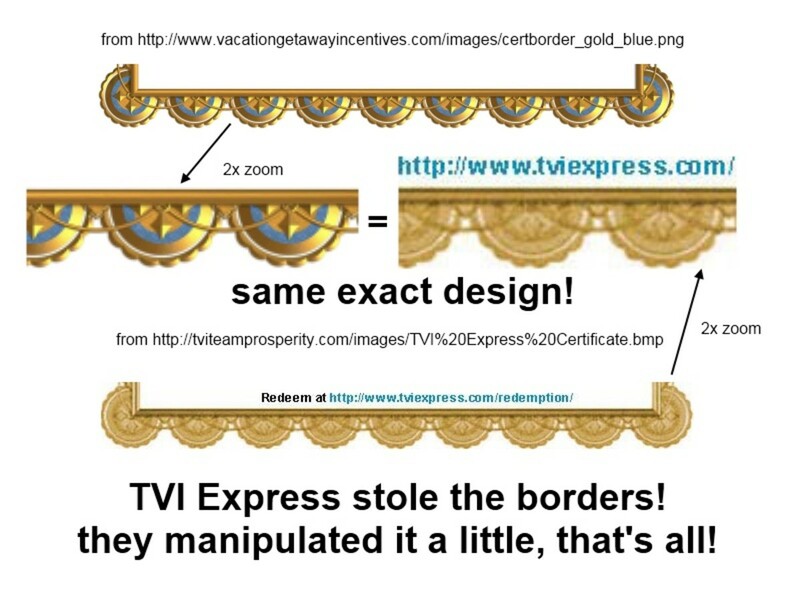 Based on analysis of design, TVI Express' certificate border was apparently stolen from another website, also for generating such certificates, then degraded and manipulated so they do not look the same upon casual inspection. See pictorial analysis to right. The designs are identical when examined close-up. Instead of explaining, it is much easier to show you... just look to the right. Not only they pirated the picture, they mutilated it. Using TinEye image search engine, it was revealed that most (all?) of TVI Express photos were stolen off other websites without any sort of attribution. Their "Elevation Retreat" photo under events was stolen off Xango website (along with the name "Elevation Retreat"), and their "Black Tie Event" was stock photo stolen from GettyImages. If you do a search on any Internet search engine, you will find hundreds, if not THOUSANDS of websites about TVI Express. Many are direct clones of the existing tviexpress.com albeit with a bit of personal touch. Some are directly translated (by machine) to another language. For example, TVIExpress.vn (Vietnam) is a direct clone of TVIExpress.com, albeit ran through a translator and updated with some local contact information. Even the copyrights and disclaimers are copied verbatim. This is a major no-no for direct selling companies. If you search Amway, you will not find any sort of clone websites online, because Amway's bylaws, which all independent distributors must agree to, prohibits such behavior. Amway has a name to protect. By contrast, TVI Express appear to not to care about its name being used by its members or others. Only in 2010 did TVI Express put up a "copyscape" banner that says "do not copy this website". However, a search using the Copyscape clone site scanner shows thousands of clones already out there, and thus far there is no announcement from TVI Express that they are going after any of its members representing themselves as TVI Express. * TVI Express distributor, or TVI Express themselves? Due to lack of distinction between TVI Express itself and its members, some of the information spreading around the Internet is very hard to attribute. Some of the complaints previously mentioned have been addressed by some members, but since a distributor is NOT the company, their explanation are at best, UNofficial, or at worst, outright contradictory. In most direct selling or network marketing companies, there is a set of bylaws that all distributors agree to upon joining, including not to misrepresent the company, not to misrepresent themselves as an employee of the company, and so on and so forth. Amway's bylaws are easily found on their website. By contrast, TVI Express has no such bylaws. As a result, many members have made impossible and outrageous claims (including "Warren Buffet owns a part of TVI Express!") and thus far there has not been any disciplinary action against any member who have made such misrepresentations. One thing you supposedly get upon joining TVI Express is 7-day 6-night accommodation at a 5-star hotel for two and buy-one-get-one-free domestic flight offer. However, there are major problems with this offer. no list of participating hotels was ever published. A limited list of 11 properties in India was mentioned in one of the announcements, but no other hotels outside of India were ever mentioned in official correspondence. TVI Express announcements claimed "thousands" have enjoyed the vacations, when members also claimed 600000 members all over the world. That is a trip redemption rate of 1.5%, even if one accepts "thousands" to be 9000. TVI Express had so much problem with redemption that it gave everybody 6 extra months to redeem the trip (it was supposed to expire in 12 months), and was supposed to roll out a new "booking engine" to handle the requests automatically on March 1, 2010, more than a year after it launched. TVI Express had deleted an announcement on March 5, 2010, pleading for more time for the booking engine to go online. The announcement was archived on its clone sites. TVI Express thus far has still NOT implemented the new "booking engine" or "portal", as of May 10, 2010, according to member reports. However, there is no such announcement on TVI Express website. If you only go by the announcement, the portal had been up since March 1, 2010, but that is false. TVI Express apparently opened up the booking portal on June 9, 2010. However, it also announced that it is charging USD $150.00 for "processing fees and taxes" for this "free trip", despite there was no such language that allows for such fees or taxes on the certificate itself. TVI Express announced that as compensation they will give you 1 extra day and up to 6 extra people can join you. Then a week later, released another announcement that took back all of these bonuses such as extra day and extra people. In fact, in order to redeem you have to direct deposit money into their Indian bank account. TVI Express put announced a list of about 100 available hotels, but they are all in India or nearby. No mention of any hotels in the rest of the world. TVI Express announced that the global "taxes and fees" to redeem the trip is $150 USD. However, Indians got a 25% discount, while Indonesians got a 9% surcharge, based on the amounts given in the announcement and the exchange rates. TVI Express later announced that you can redeem your trip half-sized (4-day 3-nights) if you wish, and you apparently get a few more choices. However, taxes and fees were not revealed though unconfirmed reports puts it at about $100-110 USD. Reports from South Africa revealed that many members were told they had NO booking at all upon arrival, or the booking was valid, but unpaid. The companion ticket offer was also quietly withdrawn in 2011. Now, it's hotel only, no plane tickets at all. TVI Express thus far have no comment on the problems of the booking engine, and refuse to acknowledge the now "unofficial" announcement, or any explanation why they keep going back and forth on the trip redemption details, the "taxes and processing fees", and so on. TVI Express website has a "scroller" on the right that says "Today's members". However, examination of the code in the scroller shows that the data source it is attached to is actually static, and never changes, leading many to charge that the member list is a fake. Repeated visits to TVI Express at random times indeed shows that the list never seems to vary. Later the scroller is changed somewhat, but retrieving the data shows that it was simply the same 500 entries randomized. TVI Express have no comment on this allegation. For many months in 2009, TVI Express had a webpage named "commitment" under "community". It claims they have donated funds to UNICEF, the UN children's fund. However, if you look at the website now, there is no such link. Yet if you search on Google for "TVI EXPRESS UNICEF", you will find that the webpage itself is still on TVI Express website. It is just NOT LINKED ANY MORE.This was first noticed in January 2010, though it may have been removed earlier. Some claimed to have queried UNICEF and found no record of TVI Express having EVER donated a penny to UNICEF. This cannot be confirmed. This removal has lead many to doubt whether TVI Express had ever donated to UNICEF. TVI Express has no comment on why they have removed all links to that page. Ted Nuyten's website http://www.businessforhome.org/ was hit by distributed denial of service cyberattack two days after it had released a scathing review of TVI Express, taking down the server and the ISP was forced to disable the website as they apparently were not able to block the attack. The website was calling Tarun Trikha, alleged leader of TVI Express scam, "Bernard Madoff of India". While there is no conclusive proof that TVI Express is behind the attack, the timing of the attack is too close to be a coincidence. As the preceding complaints and concerns show, TVI Express have left a LOT of unanswered questions. Thus far, they have shown no intention of answering any of them officially. 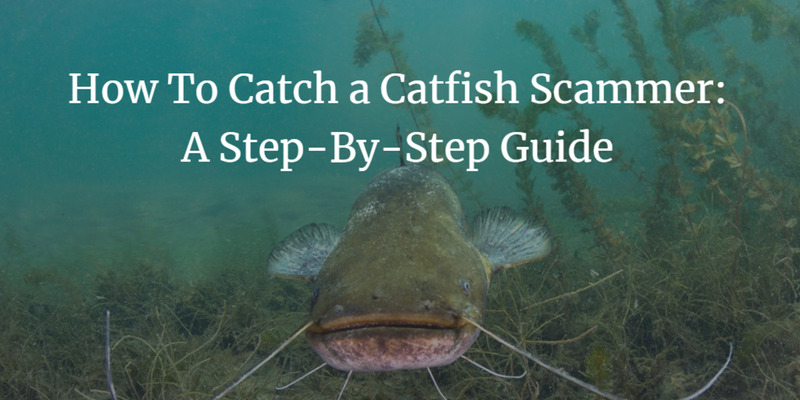 While it is not illegal to not answer questions, it leads to complaints and suspicions that it may be operating illegally, or have something to hide. However, that is mere speculation. If you have more TVI Express complaints, unanswered questions, and suspicions not listed here, please feel free to add them in comments. If you are going to a TVI Express meeting soon, you may be interested in "16 Questions you should ask TVI Express"
Learn how a scam such as TVI Express could have swindled a million people around the world by using 13 common scam techniques to take advantage of people's weaknesses. Learn how TVI Express, an international scam, used 10 Secrets of Highly Effective Liars, to defraud a million people around the world, and how you can spot the lies and avoid them. 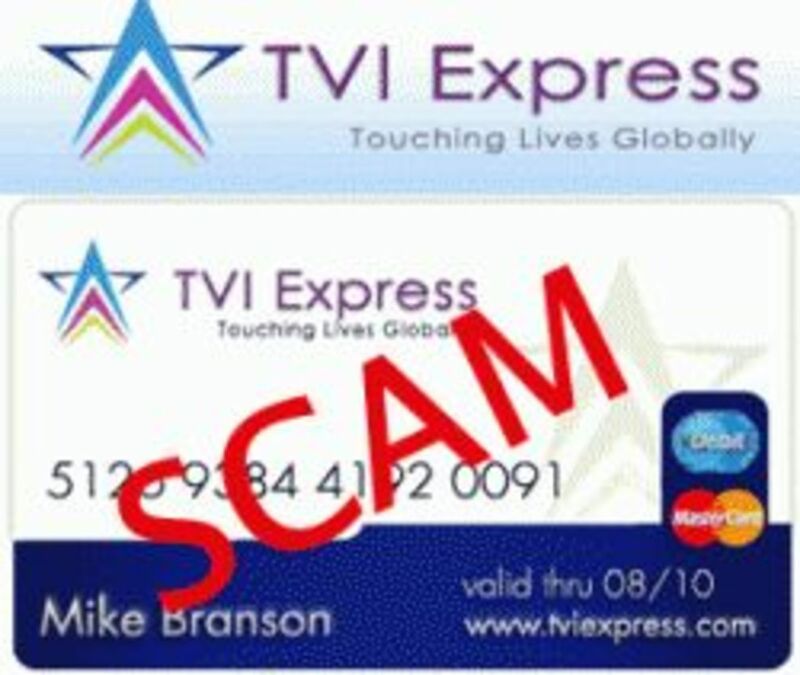 Real TVI Express FAQ: TVIExpress.com Holiday Inc illegal scam in Australia, USA, South Africa, India, and Philippines? Sreedhar in Hydderabad... You need to contact your local police and file FIR and have them contact Mumbai police and CID who's handling Tarun Trikha. For your safety I am not posting your information for public view. Thank you Mr.Chang for the incredibly informative hub. I am from the Philippines where poverty is high and corruption and such schemes are prolific, and the countless victims never learn, probably because most people are deperate to earn as quickly without having a certain set of skills that an ordinary job would pay an employee for, or because of greed too, since not all people who invest are just hoping to get out of poverty but hoping to earn more without exerting much effort. What I`m saying is that it is too much of a problem here and the government can`t do much to protect the people. I was once a victim of a pyramiding company which ended up in bancruptcy because of bad management, even though it had a lot of good products. I tell you guys, the result is the same as the people at the bottom get robbed and the people at the top, most of the time, get away with the money. We should learn from these experiences and accept the fact that the way to get rich is to work hard and invest our money in the right places, or build our own businesses which will be beneficial to consumers and employees alike. And to those who earn from these kinds of schemes, you may not be the victims but somehow it will come creeping right back on you, since you are part of the whole deception. Congratulations to all TVi express victims, The biggest defaulter Tarun Trikha was arrested by the Kolkata Crime Investigation Department special force at Delhi Airport. He has done biggest fraud of 50,000 millions from over 7 millions peoples across the world. Tarun and his other family members has absconded with over 50,000 million dollors of investments of over 7 million peoples from all over the world. Tarun Trikha was running his multi level marketing business alongwith his family members from more than 3.5 years through his website www.tviexpress.com. • Tarun Trikha and his family members defrauded the whole world Citizens for more than $ 50,000 Millions(5000 crore). • More than 7 Millions(70 Lakh) peoples from all over the world have lost their Life Savings to these Scam Artists. • Honest and Innocent peoples had trusted these people and invested their HARD EARNED money in the hope of receiving interest/product/commision/ as promised by Tarun Trikha and his family members. • These victims have lost even their principal amount. Some innocent people had borrowed money against property, gold, cars etc and credit cards to invest in TVI EXPRESS; they are now left with NOTHING and they still have to repay their loans. The Administrators and Operators of this website are also victims of this Scam. We are based in Kolkata and are located close to all department Headquarters and courts. We have made a promise to ourselves that WE WILL NOT REST, WE WILL NOT SLEEP and WE WILL NOT STOP till we have recovered our hard earned money. WE WILL NOT LET TARUN TRIKHA AND HIS FAMILY GET AWAY WITH THIS SCAM. WE WILL HUNT HIM TILL HELL. @themsijudge / @Koli -- Is there any confirmation of this in a newspaper or police department listing like FIR or arrest report? Facebook is not exactly a reliable news source. On the basis of a complaint from Kharagpur, Sri Tarun Trikha has been arreasted by the CID, West Bengal. Getting actors to join is nothing. In Indonesia they had the POLICE CHIEF of one province joined them as well, and put his name front and center. when tvi launch here in the Philippines one of the guest is from the channel (where tv patrol is) one of their popular news anchor.. and one of their popular actor.. also they say that the mother of this actor is already a big time member of tvi express... (so... how is that...?they're even claiming that a lot of popular actors and actress and even Mr.Manny Pacquio..our very own pride boxing champion...they're claiming that members of tvi express... )what will I do now... how can this be legal in our country? maybe you can write again (pls beg you..) this time not in tv patrol but in the channel I mention...(GMA NETWORK Channel 7)I think they're more considerate there...I plan to report it (call them on their hotline nos) to one of their investigation segment..I already email them...but no response..but if I call them for sure they will hear me...but im only one...(that is my worry) how can they believe me...? I wrote to TV Patrol over a year ago, and various Filipino newspaper websites. Nothing happened. OMG it just keep on repeating...when will this end? it's now viral in hte philippines...and my parents are fighting with me already..they're not going to give up...I see danger...what will I do...it's not easy to prove that tvi is a scam...many won't believe...and many people are not researching about this...im afraid they'll come after me...here in philippines it's not easy to request investigation...can you help me mr. kschang,can you reprt this in one of famous channel here in the philippines...maybe GMA NETWORK channel 7...this must end... many people will suffer...many people are blinded by their lies...pls HELP ME! @ALLY SEKANI -- you will have to complain to the police and have the culprit held accountable. Due to editorial rules here, naming the culprit is not allowed. I believe the investigation by SARB is still ongoing. I borrowed money from the bank hopping it will help me if i invest with tvi express. unfortunately i made mylife more miserable thanks to MissMpendulo Mafunde who defroded the 16 of us.Have got contact for the person pls help what can we do? @rosa -- I guess violating General order 8: anti-pyramid laws doesn't matter to you then as long as they pay tax to the government and pay you? i believe that u can be scammed by any company. as long as as the company can explain how it can pay ur benefits meaning profitable, earning real income, fine with me. a lot of multinational companies went bankrupt look at lehman brothers after 100 yrs of operation. banks, they borrow money from people in exchange for a profit , they close shops as well. talk about security nowadays. ur rite, registration wd sec doesn't matter. paying taxes count a lot better than the so called legit companies not paying tax at all. Well folks tarun trikha has been really busy at this time around to take care his own miserable airline company in Indonesia named pacific royale ,he is a single fighter now ever since his company c.e.o left him behind for some reasons few days ago. This airline company is really messed up, as the salary and the remuneration of the employee is always be in due date for couple of months. It leads him to acting against the government regulation of the labor department ordinance about the employee's right. Probably this guy tarun is also distracted by his t.v.I express project in indonesia, so maybe he finds it hard to focus as there have been a lot of complain about the t.v.I express hotel voucher which is actually just a scam. @Maing-sic -- I'm not Filipino, so it's NOT my business. I present information, as I have been tracking TVI Express LONG BEFORE it arrived in the islands. The fact you're only discovering it now shows how late Philippines is to the game. The problem is in the BUSINESS MODEL, which is clearly a pyramid scheme: you pay to join, you recruit people who also pay to join. When you recruit enough, you get paid. Why is that NOT a pyramid scheme? What did you sell? Selling membership is same as recruiting. Getting paid for merely recruiting into organization where you were recruited the same way = pyramid scheme. Did you bother checking DSAP, and Administrative Order No. 8, which outalws pyramid schemes? is TVI Express registered with DSAP? Wealth is distributed to many... FROM MEMBERS, TO MEMBERS. 200+ members paid $250+ into TVI Express (that's over 50000 USD) for ONE person to take out 10000 USD. Do your own math. How do you define SCAM? Please elaborate. When you buy on line Plane Ticket (buy Plane ticket through internet) and presented this to the Airport Counter and accepted, that is legal, right. With Regards to TVI Express, this on line transaction is similar, TVI has adapted "E-commerce" business. When you become a member, your membership is encoded through internet. You pay your membership either direct to the accredited bank or to your trusted sponsor for him/she will do the payment to TVI Bank account. Your membership is lifetime, then you are entitled to a one time Free Vacation package of 7 nights 8 days in any available and accredited Resort Hotels or 3 nights 4 days in a Business Hotels whose star ratings ranges from 3 to 5 Star. A member is given One (1) year to redeem this privilege. The process is, with the help of the internet you have to book in advance your plan vacation. When, where, which Hotel, with whom you want to spend your Free vacation is your decision. You only pay for the Tax for the hotel and the processing fee. After this process, the TVI Express system will issue you Booking Certificate (like E-ticket of Airlines). Present this BC to the Hotel, if accepted, that is legal. Where is the SCAM there? This only become SCAM when this concern hotel will not consider/accept you confirmed Booking Certificate. About the Pyramiding scheme you are insisting. Pyramid scheme is not bad structure, its perfect and sturdy. Almost in all form/kinds of organizations is being used. This only become bad when use by unscrupulous people. On your blog you insinuated that TVI Express is using Pyramiding scheme. the form yes, but NOT how it works, its not bad or its intention is NOT to deceive anybody as you want to show. You are familiar with the 2 boards, the Traveler and Express boards. In every board there are 15 slots: 8 slots on the 1st level; 4 slots in the 2nd level; 2 slots in the 3rd level and 1 slot in the 4th level. When you become a member, the one who invited you is one of the 7 members who became member ahead of you, meaning your sponsor already placed either in 2nd, 3rd or 4th level of the board. When the 8 slots in 1st level is full, the one in the 4th level exit and earn P 30,000.00. Meaning, through team effort you made somebody earn a living. Meaning, he spent P16,800.00 for his membership, in return, he will have this Free Vacation Package of his choice to enjoy, and opportunity to earn P 30,000.00, if you want to speed up to the 4th level, system will help you to do that legally . Is this for you, a SCAM? To detail the process, with a membership fee of P 16,800.00, the government earn P1,800.00 as VAT per member, while the P 15,000.00 goes to TVI. So for the 8 slots to be filled up, will be the work of existing 7 members(either some only or all 7 will work), so the business will look like this: 8 x 1,800.00 = P14,400.00 earning for the government; 8 x P 15,000.00 = P 120,000.00 revenue of TVI; less P 30,000.00 given to member who exited, TVI will have net income of P 90,000.00 per board. Is this a SCAM? for me this legitimate/legal business. The Express board works similarly, if you want to know the computation its like this: Also 15 slots in this Express board, there are also 4 levels. All the 7 members appearing in this board have exited from Travelers board. Members already earned P 30,000.00 each, while TVI earned P 90.000.00. So when the 8 slots in 1st level of the Express is filled up, member who is in the 4th level will exit and will earn P 450,000.00. Hows that possible, 8 slots x P 90,000.00 = P720,000.00 TVI total revenue, less P 450,000.00 = P 270,000.00 net income of TVI. Do you see this as a SCAM? For me its legal and good business, a concept and an opportunity wherein hard working members will have a chance to become financially free. Join TVI Express now Mr Change so that you will really see how the concept works. Here with you untiring effort to communicate with people, I'm sure you can help people to enjoy the abundance of God's Creation. Wealth will be distributed to many. Your basis on your many negative comments are the results of your readings without verifying the facts of your case. You only repeat what other people wrote or told you without looking into the supporting evidences. If you are really that concern- so people will not become victims of so called SCAM as you wrote, please use your Resources and Energy in bringing Tarun Trikha and other Officials of TVI Express to the bar of Justice. With your alleged many and strong evidences sue Mr Tarun Trikha as his officials, including the SEC (Security Exchange Commission of the Phil.) BIR (Bureau of Internal Revenue) who gave the necessary permits/documents to operate. If you can do this and if proven you are CORRECT, you will save many soon to be victims of TVI Express, you will gain our respect. But if you can not and no solid evidences to show to the Court or to any concern Offices of the government, please STOP writing negative comments, instead join TVI Express, be an insider so that you will fully understand how the system works, Thanks and God Bless. but now i am going to join other MLM bcz i think that its better than any company's sales man.And its give me man power that help me to increase sales and earn more income. @vijaykumar -- I will answer those questions too, and we'll see if other members will bother answering your question. 1) Clearly, TVI Express is NOT about selling hotel accommodations. Why else would they hide the list of hotels and such? 3) They put it in "announcements" but never tell you exact amount, only "additional fees may be required". They don't tell you it is like $100-$150 USD (depending on length of trip) which is... 60% of the $250 join fee. Would I recommend any company? I do NOT recommend MLM at all. I believe it is a very dangerous business model for the participants. Even if the COMPANY is legal, a bad leader/upline can make it illegal by doing illegal things. Then there are people like Shyam Sundar of corporatefraudswatch.blogspot.com, who believe MLM is outright illegal fraud. It is a position that I understand but do not completely agree with. * in a real job, you get paid for doing things. You do NOT need to pay $$$ first. That is sign of fraud. * the only real business is "buy low, sell high". What can you buy low, and sell high? It does not have to be physical product, but service, but it must be SOLD to people NOT IN THE COMPANY. That's a "retail customer". i am from India,i want to ask somting about TVI EXPRESS to all TVI express member, -1)why dont show hotel's name list on TVI Express site,then people can see all TVI hotels name where can enjoy holiday with TVI? 2)Why u dont make ur business plan with binarry plan(1:2 or 2:1),bcz its plan is very clear and best in mlm ? 3)why TVI hidden cost charge of any trip booking those r not mention in TVI persentation? AND one question to Mr. kschang-Mr. chang u have any other plan or company that will leagel? and u have any plan or information that where can people work in mlm with legaly and earn much money,and that system or company not a fack? so plz reply me mr. chang. TVI Express Trio in Australia convicted of running pyramid scheme. @shine -- all you have to show me is a link on their own website, where they CLAIM to be operating ethically? Actually, it doesn't even say that. It says YOU GUYS, the distributors, have to operate ethically. You want us to believe that a "company", which has consistently lied about itself (such as where it is based, or who are its owners), under prosecution in a dozen countries with dozens of members already arrested, is a company with "ethics", and the ONLY proof is a document that any one could type up. And the part about destroying dreams? That's bogus man. They promise you the moon so THEY are the ones cheating you. Then they make you part of the scam by having YOU cheat others so you can "win" (that's how pyramid schemes work). So you may achieve your dream, but you'll steal about 200+ people's dreams, and they EACH have to steal 200+ more dreams to fulfill their own dream. AND YOU SOMEHOW BELIEVE ALL THIS IS LEGITIMATE. somebody invited me to join TVI today but to be honest i am NOT INTERESTED AT ALL! COMMOM GUYSSSS THIS IS PURELY A SCAM!!! DON'T BE FOOLED! @toto philippines -- I find it surprising you can still write that AFTER reading the whole thing. Perhaps the fact that "TVI Express is a pyramid scheme" somehow didn't reach the spot between your ears? Or are you waiting for your government to act, but in the meanwhile, you will promote this scam for all its worth, so YOU can profit from it? I hope you don't end up like the folks in China or South Africa, hauled off to jail. I do believe there were some arrests in Indonesia as well. You *did* hear about the Indian police raid on TVI Express office in India, yes? @alex of philippines -- You can't seem to tell the difference between having the right business registration paperwork (i.e. SEC and all that) vs. OPERATING legally (i.e. not as a pyramid scheme). You can have the proper paperwork, but if you operate as a pyramid scheme you are STILL illegal and subject to sanctions. TVI Express is a scam charged with crimes around the world. It surely changed a lot of people's lives... FOR THE WORSE! Just in China thousands of victims were reported (probably tens of thousands, as I only count those reported officially). it was kicked out of US, Australia, and made illegal in Indonesia. They had a "corporate office" there too, and a VP. So what? Their business license was still revoked. Heck, their leader was quoted by newspaper saying TVI Express IS NOT MLM! So why is she claiming now to be applying for MLM business license? So continue to dream your grandiose dream. Keep in mind it IS only a dream, and it has the potential of turning into a nightmare on you. Did you see the arrest pictures in South Africa a few months back? Or the the Indian police raid on TVI Express Headquarters in Bangalore India? Stop telling yourself lies. It's the only way to save yourself and your friends and family. guys, tvi express is a legitimate mlm business here in the philippines. they have securities and exchange commission certificate, they have paid there tax at bureau of internal revenue, i personally meet the president, vice president of the company and i have seen there corporate office here in makati city, philippines. to all those people who are accusing tvi as scam business, mind you! there is no other way to change your life... only tvi can change your future.. i can tell you honestly that i have earned $10,600 in 4 months that is equivalent to P610,000. join tvi... for good.. God bless! @kela -- this hub denounces TVI Express as fraud, and you want to comment spam this hub? Your comment is censored. It's interesting that out of eleven country named here, TVI Express is already illegal or under investigation in at least four: US, Indonesia, Namibia, and South Africa, plus Kela's neighbor, Hungary. It was also denounced in Germany, and various Eastern European republics. Clearly, "Kela" was told by his/her upline to IGNORE the news, and thus, will remain ignorant of these developments, and thus, remain stupid. You may want to check out my continual update on TVI Express news: declared illegal in South Africa, license yanked in Indonesia, and so on. @Rod Cook -- they took down Ted Nuyten's site and made his web host cry uncle after he published an expose that listed every single known top distributor that promoted it. I remember. :) He had to delete the expose and the attack stopped. I reported it too. I didn't know your site was attacked though. Great job of reporting on this exlusive scam around the world. They tried an attack on the MLM Watchdog after they were exposed on my site. @Jane -- yes, you have demonstrated that you have NO REFUTATION of what I presented. Thus, you are defending a scam with NOTHING other than your faith. Therefore, the "face of TVI" you have shown is that of someone who's not in a business, but a cult. indeed such a waste of my time to go through this..but so just to give a face for tvi for people who googled TVI and goes to your page. pls.show decency and professionalism also! @Jane -- you present it here and it'll read by everybody who reads this page. Doh! If your time's so precious, why are you here defending a scam? Go out there and scam more people, since you believe in it so much! what can i get from you if i can prove you wrong with your attacks/accusations with TVI? give me your price/bet..for my time is precious. supposedly these details should be discussed in the court! go file a case,i encourage you then publish or even televise your campaign..can you do this? @Jane -- so you admit to being an idiot with dreams of being a millionaire. Sounds like an oxymoron. Go ahead, look it up. Your attempt at insult is infantile, and so is your "defense" of TVI Express scam. If this is pointless, your defense is also pointless, where does that leave you? oh yeah.. if i have to be an idiot so i will be a millionaire then let it be. nyahahah! are you? oh well,if that has to be your attitude, i hope you get toknow all the minute details of all the brands you eat and wear as well so just to prove that that can't do you any harm. nyahah! if your evidences/accusations are really that strong..then go ahead file a case/lawsuit to TVI,perhaps you can earn millions for it! in conclusion, you're pointless and our choices and decisions to venture in TVI is none of your business. @Jane -- why don't you learn how Google adsense works? Now that you opened your mouth (virtually that is) we know you're an idiot. Thank you for your demonstration. I'll publish your comment just to prove you're an idiot. this site is very much full of negative and unprofessional aura..are you a fagget or what? (you sound like one).plus,the ironic part is you criticize TVI but what i can see in your ads here are airfare,hotel accom.and travels..tsk tsk quiet disturbing and suspicious. if you'll not post my comments,plainly i could say that this site is bias and is very much manipulated by what your itching ears just want to see and hear..hhhmmnn. Thank You for sharing the information . A very thorough and intelligent article . TVI is a scam dealing with sentiments of people to get rich quick .This is done by cheating your near and dear ones . In countries like INDIA ,China ,Indonesia ..etc we are all very emotional and have a network of family ties .These TVI people are exploiting this loophole now in this part of the world after exiting the developed countries due to recession . Lets get our thinking boots on and get these cheaters to hell !! GOOD LUCK !! The research is really precise, specific and based on absolute facts. Although I am also a victim of this scam,just because I believed my friend, I think some measures have to be initiated immediately to Arrest the building of this massive Pyramid globally, which is sucking the hard earned money of innocent and ignorant people. The Matter has to be brought into the attention of the Government of India and Other country Govts. It may be even brought to the attention of C.B.I in India and Interpol globally with the facts you have found to make the culprits to answer questions unanswered yet. It will be the Biggest Scam Burst in the near future which will be recorded in History. I plead with all the victims to join hands to fight against this Cancer which is spreading at a Jet speed fuelled by Greed to become rich in the shortest span of time. I am sorry, I have joined with an intention to take my family for a holiday abroad in off season, not to build a network. But that dream will be fulfilled only if I spend money again and book with a reputed travel network. @Mishka -- (from South Africa, one of TVI Express hotspots) so what exactly *are* you saying? That your friends and family got a bunch of vouchers? Did any one redeem those for real money yet? And did any of your family and friends sell anything? Did you call Bill dumb to invest in TVI Express when your friends and family also did? I am sure there's miscommunication... INTENTIONAL miscommunication from TVI Express to all of its members. In other words, they lied from the very beginning. The uplines know nothing, and can't speak for the company. Asking them eventually ends up at Tarun Trikha or one of those nameless voices on the phone you're not even sure where. It is also worth noting that most TVI Express defenders now have no excuses left, and have resorted to "I / My Friends / My Family have made money". At least the Indonesians are more "creative"... Ms. Gornawan just the other day told reporters in Indonesia that TVI Express is NOT multi-level marketing. :D It's in Google News search. Are you then dumb to invest so much money without proove that the business is legit!!!? Let me tell you this I am a member and I have been scammed by TVI they stole 960.00 dollars from me and many others. You are a fool to believe or support anything that this company has promoted or published. You cannot redeem anything for cash. It's the biggest scam next to the financial bailout. Don't be fooled like I was. "TVI Express's position in our index ranks them at 59 out of 659 home businesses actively tracked in our database. And it's tracked PURELY ON PUBLIC INTEREST (i.e. Internet traffic and search terms). It in no way proves that TVI Express is not a scam, or in any way explains any of the complaints. Why is it that TVI Express supporters can't even cite FACTS PROPERLY? Is it something that was inherited or taught? @chandra -- your comment has added nothing to the discussion. Therefore it is deleted as spam. A redacted version is included below. i will let you know how popular it is and it would cost you less than $100 to join one time payment.rest will be added from your members in additional to your membership. More information... Apparently our spammer is Chandra Prabhakar, and the URL posted is being spammed all over the Internet in the last month or two, so I am NOT going to repost it. However, Chandra is posting from a British Telecom service area. Interesting. What's more the URL just leads to a landing page with "please give me your name so I can send you more info". It's a standard "capture page template". Furthermore, Chandra was found on Google search pushing TVI-GAT, an outfit that has DIVORCED itself from TVI Express altogether, as reported back in April 2010. So Chandra, you are on a sinking ship, and you don't seem to even realize it. Thank you, Mr. Wong. The people who are in the scam feel the need to protect the reputation of the scam, because the scam has very cleverly tied their self-esteem and future to the scam itself, which is another way this scam RUINS lives. We should be thankful to KSChang who has dedicated his time to research and provide a thorough information about this scam. I agree that the company does not have honest intention, by hiding its real address and owner. Mislead public by placing Warren Buffet and Bill Clinton pictures on its website etc. So you have NO ANSWER to ANY of the complaints here, except "you don't understand us"? And you INSULT me instead of trying to explain things to me? Clearly you don't even understand the business yourself. Only those who have no reason behind them have to resort to foul language. Looks like you ran out of reason, and have to resort to... emotion. Are you sure you're not in a cult? And just *what* idea are you selling in TVI Express? Nothing. All it has is "get rich... by recruiting a lot of people". If you don't see that as a Ponzi scheme, the professional term for that is "self-delusion". I don't know about you but I am a TVI Express Associates. I wish that you either join TVI or just leave it alone. I have so many friends like you. Can you not accept that there would be new 'invention' everyday? If you think that there are only pyramid system or the bonzi system, then you will not survive in the world of SALES. Remembering, selling of an idea is also Sales. You are a typical American who just cannot see other people getting rich just like the cover up on the alternative medicines in America. The bottom line is either you have a qualm with TVI or someone paid you to write this page. God made us to have wit. If someone invented a new idea, we must share in its joy not by lamenting and trying to bring it down. That has happened in the past and I am not surprised there are some more people in this present time, trying to do the same thing - destroying other people's idea. I raise my hat to TVI Express. And if you are such a genius writing all this stuff, use your head to create more ideas to make more people richer and not just think about your own pockets.